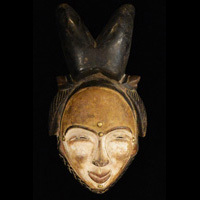 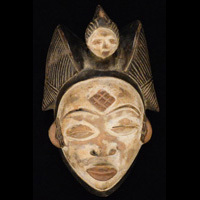 The Punu people of Cameroon, Gabon and the Congo produce some of the most strikingly beautiful masks in all of African art. 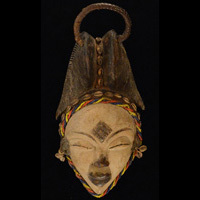 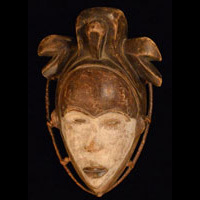 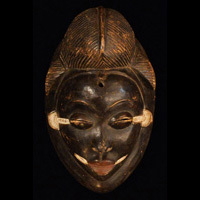 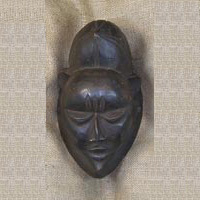 The white faces of many Punu Masks are intended to ward off evil spirits and witches. 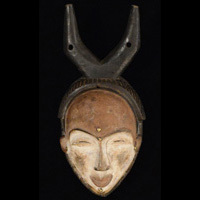 The tall hairdos typical of most Punu Masks signify that the woman is wealthy and never has to carry goods on her head.